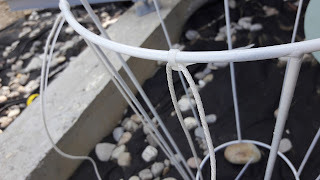 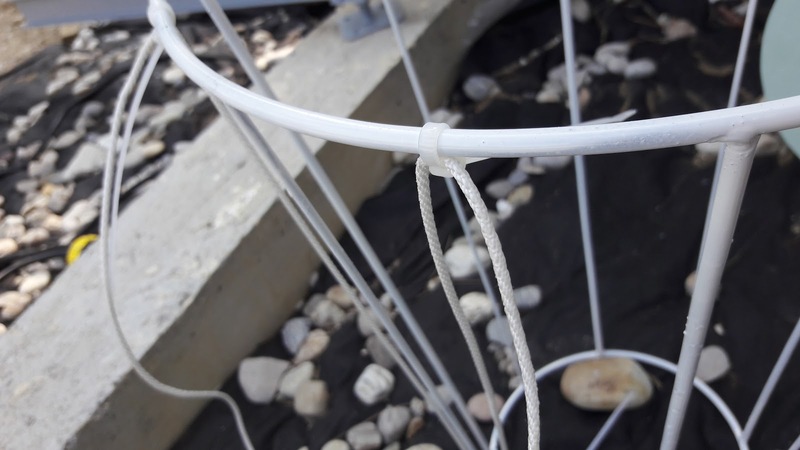 I sprayed this old paper basket white, with some cord I created this wonderful pattern. 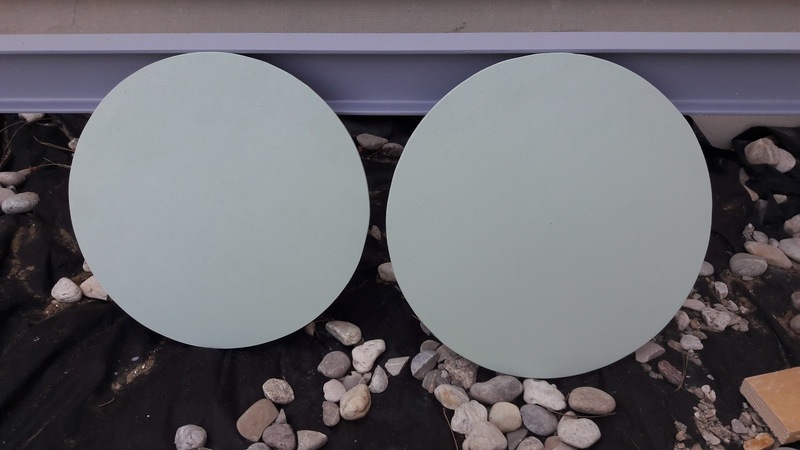 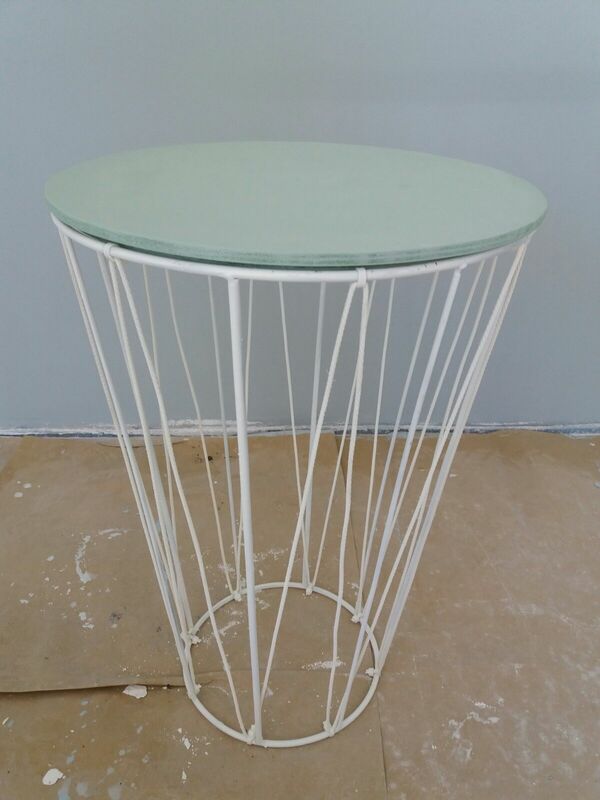 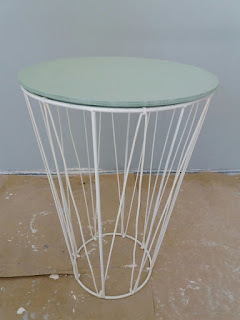 Two circles, which i cut out of a thin plate of wood and painted with mint colour, work as tabletop or base of the plant-stand! 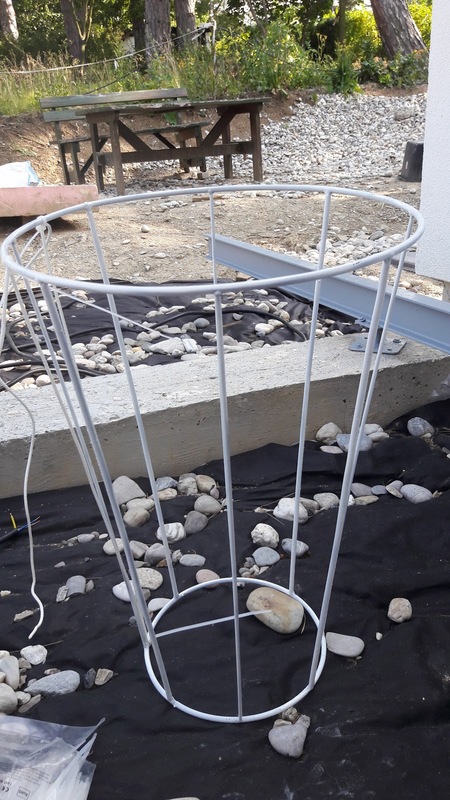 Because If you turn it around, you can use it for plants as you can see on the foto!